CCS-OTA performs self-adaptive trim optimization based on its bottom covering 99.5% of the draft and speed database. The database includes the ship draft, resistance, main power and other information. The corresponding data is generated by combining the computational fluid dynamics (CFD) simulation and the tank test. 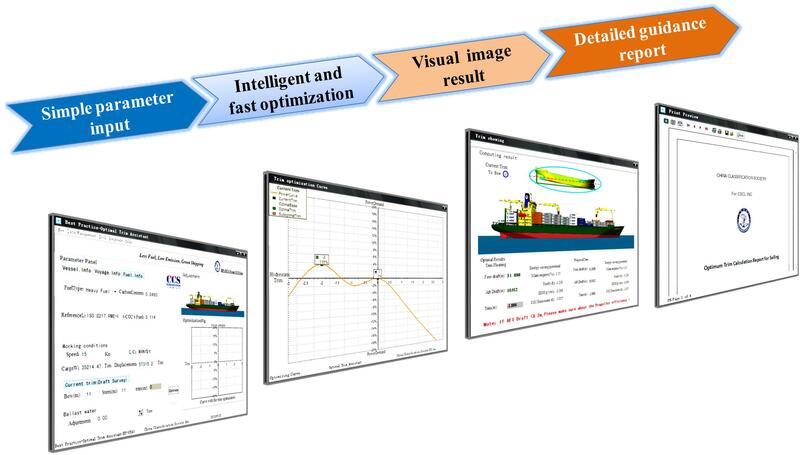 OTA system can provide the ship trim-draft-speed-power relation in any working condition. At any speed (draft), the main power, trim and draft (speed) will constitute a spatial continuous curve. 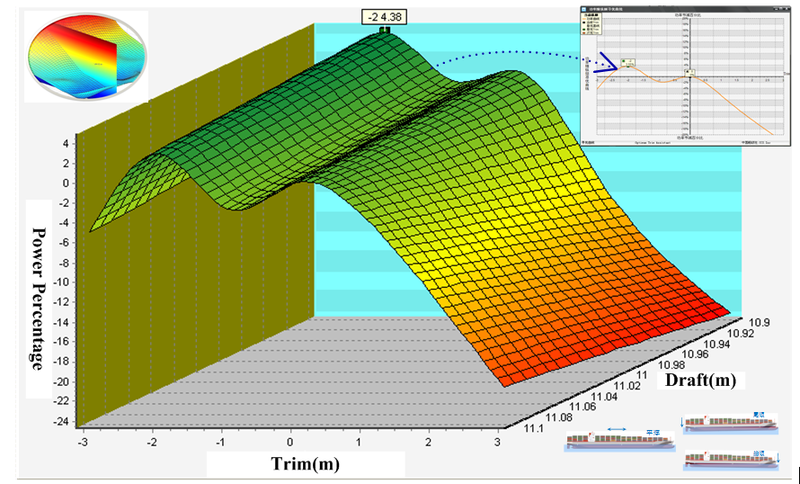 With the corresponding self-adaptive intelligent optimal computation, the optimal trim can be obtained at any draft. • User-friendly interface and convenient operation via one-key click.